unfortunately not you can' move snap points with the straight line tool. 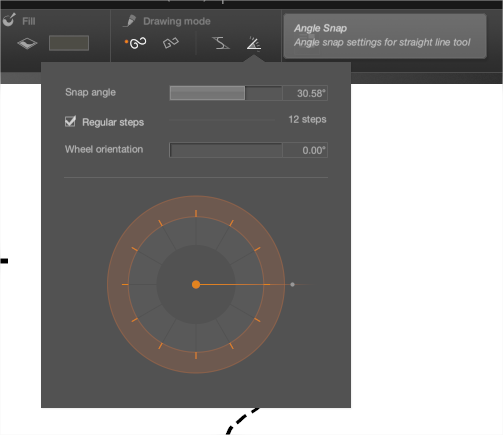 You can Press the Shift before starting to draw ( then a Snap angle wheel will be displayed ). Long time not coming here, bought the software like 2 years ago or something. Happy to see it is still keep updated! Just a little question, why did it not passed "1.0", i mean it feel pretty nice as it is, so i suppose you have not reached the goal you put yet, which is great in a way, really ambitious! We know :( perhaps at the end of the next month but not sure we have a LOT of things to fix and some to finish..
Is it possible to have an alpha or beta for it?